Powerful phytochemical extracts found within green tea and the fruit lychee, exhibit great promise as an aid for weight loss and as a deterrent of metabolic syndrome. Studies show that green tea and lychee extract can increase metabolism and fat oxidation of the body. Much excitement surrounds these polyphenol rich extracts as a result of supportive research displaying protection against free radical damage and assistance in restoring cellular ATP energy levels. More widespread studies show that damaging free radicals within fat cells, can lead to an over expression of adipokines (proteins secreted by adipose tissue). This condition is representative of metabolic syndrome, indicated by abdominal obesity, abnormal amount of lipids and fat in the blood, hypertension and diabetes. Green Tea has been used in China and other countries for thousands of years. The active ingredients in green tea extract are polyphenols in the form of flavonoids like catechins and epigallocatechin gallate (EGCG). Clinical trials reveal that the addition of green tea extract combined with a low calorie diet promotes weight loss. One hundred obese subjects, divided into two groups of fifty, underwent a study where half consumed a green tea supplement coupled with a low calorie diet while the other fifty subjects were on the diet alone. After ninety days, a significant weight reduction and decreased body mass (BMI) was evident in the group taking the green tea extract. “14kg loss in green tea group compared to 5kg weight loss in low calorie diet alone”. Other benefits were observed as well in both groups to include LDL, HDL, triglycerides, growth hormone, insulin and cortisol levels also improved. Green tea has shown to accelerate metabolism without over stimulating the adrenal glands. The normal effects of a caffeinated beverage are not felt while drinking green tea due to its natural calming component, L-theanine. Native to Southern China, lychee fruit has found its niche in the growing market of nutraceuticals by increasing the metabolism, while decreasing body weight and enhancing powerful antioxidant activity. 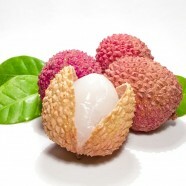 Lychee fruit contains small molecules known as oligomers. These polyphenols fall into the family of oligomeric proanthocyanidins complexes. Catching the attention of researchers, a Japanese study using lychee extract, revealed a loss in visceral fat in trial subjects with metabolic syndrome along with improving their general health. Volunteers received a daily dose of 50mg of lychee extract (oligonol) over a ten week period. Those in the lychee group lost three centimetres in their waist size, six percent in subcutaneous fat and a fifteen percent loss in abdominal fat. Additionally, insulin resistance improved and an increase of adiponectin- a hormone that regulates various metabolic processes. The researchers from Hokkaido Information University in Japan noted that the reduction in visceral fat in areas observed was remarkable. As additional support, some plant fiber consists of a delicate nature that forms a soft matrix that reduces ones appetite. Guar gum, apple pectin, oat fiber, citrus fiber, locust bean and ground flax seeds are all examples of plant fiber that forms a soft gel solution in the stomach creating a feeling of fullness. For this reason, fiber is always an appetite suppressant. Taken within 20 minutes prior to eating a meal in liquid, will help you feel full sooner, reducing your food consumption. Also, plant fiber blocks the re-absorption of cholesterol in the intestines and slows down the absorption of sugar. 4) Oben J, Duate D, Agbor G, Momo C, Talla X, The use of a Cissus quadrangularis formulation in the management of weight loss and metabolic syndrome. Lipids Health Dis. 2006 Sep.2;5:24, Epub 2006 Green tea. 5) Abdominal obesity by low molecular weight polyphenol from Lychee. 16th European Congress on Obesity. Geneva, Switzerland. May 14-17. 2008. www.eco2008.org. These are really powerful health benefits of lychee fruit. I was really not knowing this thing that lychee can also help for better weight loss. Green tea I am always taking but now I will try for lychee fruit. I must appreciate you for knowledge of this. Thanks a lot for sharing, Keep sharing your extremely thoughts with us. Thanks for your thoughts. Glad you found it helpful. Wow, such a nice tips. As I have gained weight a few months ago my mom and my friends advised me to drink green tea which I don’t like at all but thanks to you for providing the tip of consuming lychee extract and I would love to try it. Share such useful tips. For more weight loss help check out my other posts: Weight Loss 101 and Thyroid posts (3 linked) for picking up metabolism and moods and overall well being. Nice post I would appreciate it.Thanx for sharing such an useful stuff. For more weight loss help, check out my post – Weight Loss 101.